Since its founding in 1988, our company has had a commitment to conducting expedition cruises that are environmentally and culturally sustainable. 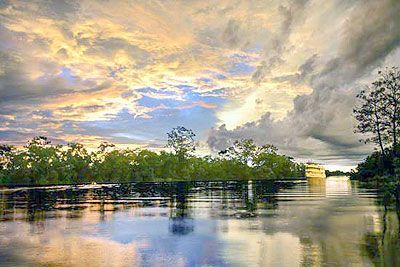 Over the years this has evolved into a host of technical innovations as well as operational practices that have made our Amazon cruises and the Motor Yacht Tucano some of the most sustainable in the entire Amazon. Our goal has been threefold: to reduce our impacts on the rainforest, contribute to the local communities of which we are a part, and to promote rainforest conservation. True sustainability is a collective effort and on our cruises our staff and travelers work together as an expedition team. Some of the methods that we employ ask of our travelers an adjustment in how they think about energy use. But perhaps this small step is a necessary one for all of us to take if we are to preserve some of the last wild places on earth. Our travelers join us in our mission to look, listen, and enjoy this wonderful reservoir of life without damaging it. This spirit begins on the day of arrival when travelers find in their staterooms a very detailed booklet explaining our commitment to sustainability procedures. These procedures really present an only minimal inconvenience and almost all travelers appreciate our efforts to minimize our impact. There is also a spirit of participation in the shared goal of sustainability which we feel is an important aspect of travel in wilderness areas. We do our best to engage our travelers in sharing in the sense of exploration and discovery, and in joining us in preserving the greatest wilderness on earth, the Amazon. Solar Energy / Minimizing Carbon Footprint: From the earliest design stages, the Motor Yacht Tucano incorporated equipment and design features intended to reduce our carbon footprint. One of the most important of these is to enable all of the basic functions of the vessel to operate without the need of diesel generators continuously producing electricity. On the M/Y Tucano the shower and toilet water systems, illumination, cooking, refrigeration, drinking water cooling, ice making, and the propulsion of our launches all work without diesel generators functioning. This is accomplished partly through ship design and through extensive solar-electric and solar-thermal arrays. / Environmentally Minded: Through the specialized equipment, the materials, and ship design, cruises on the Motor Yacht Tucano strive to provide travelers with an experience that is very comfortable and sophisticated and one that is also sustainable. All of the basic functions of the vessel such as cleaning, maintenance, vessel supply, and waste management are conceived in order to reduce our environmental impact, protect traveler health, and to enable travelers to experience the Amazon in an intimate and authentic way. Operations and Our Crew: As efficient and sophisticated as machines may be, the real secret to sustainability is not in the hardware, it is in the personal commitment of the staff. All of our crew members, from the Chef to the Captain, use their passion for nature to make our cruises as minimally invasive as possible and to conserve resources. They implement a detailed choreography of procedures that include conservation of energy, accommodations best practices, and provisioning of the vessel. All of the major functions of the vessel are conceived for conservation and sustainability and our staff are committed to ensuring that they are successful. 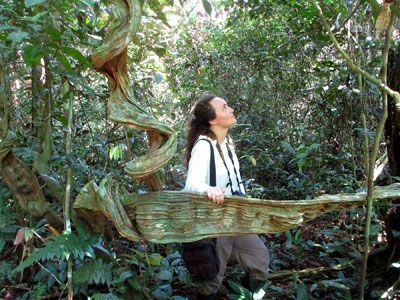 Being There - in the Forest Sustainably: The very nature of tourism is such that if poorly done, it can negatively impact wildlife, the natural environment, and the cultural cohesion of traditional communities. The tour activities of our cruises are very carefully crafted to minimize any negative impacts. Our field staff, both naturalists and woodsmen, are highly trained in responsible tourism best practices. In all aspects of the expedition experience, from our manner of approaching wildlife to visiting small villages deep in the forest, we promote a thoughtful concern for the environment as well as cultural preservation. Responsible Tourism: Sustainability is not just about avoiding negative impacts - responsible travel should also have a positive benefit. The operations of the Motor Yacht Tucano are crafted to both share the economic benefit with the community and to promote conservation of the Amazon. 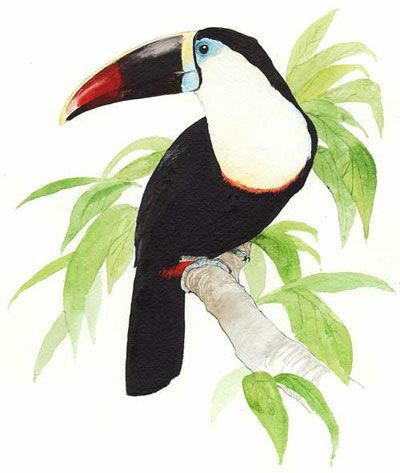 Our goals are to provide stable, well paid, long term employment, to consistently adhere to procurement policies that distribute the benefit of ship purchasing, to promote environmental education, and, importantly, to provide a source of revenue within local communities of a kind that places high value on preserving wild rainforest. If done conscientiously and responsibly, tourism can have a very positive affect on both the environment and local communities. 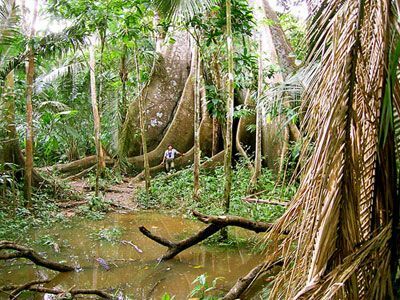 As an industry that values education, tourism can offer steady and high paying employment that provides a pathway to future generations and is perhaps the only type of non-extractive use that can be made of undisturbed tropical forest. As we enter our third decade of exploration in the Amazon, we as colleagues and a team will continue to do our best to achieve the goals of ecotourism and have the privilege of enabling our travelers to join us in experiencing the wonders of the Amazon and at the same time positively benefiting the greatest wilderness on Earth.